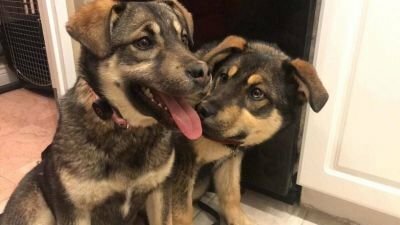 Located in Ottawa Ontario, Homes for Paws is an all volunteer not for profit, dog rescue dedicated to rescuing dogs on death row. 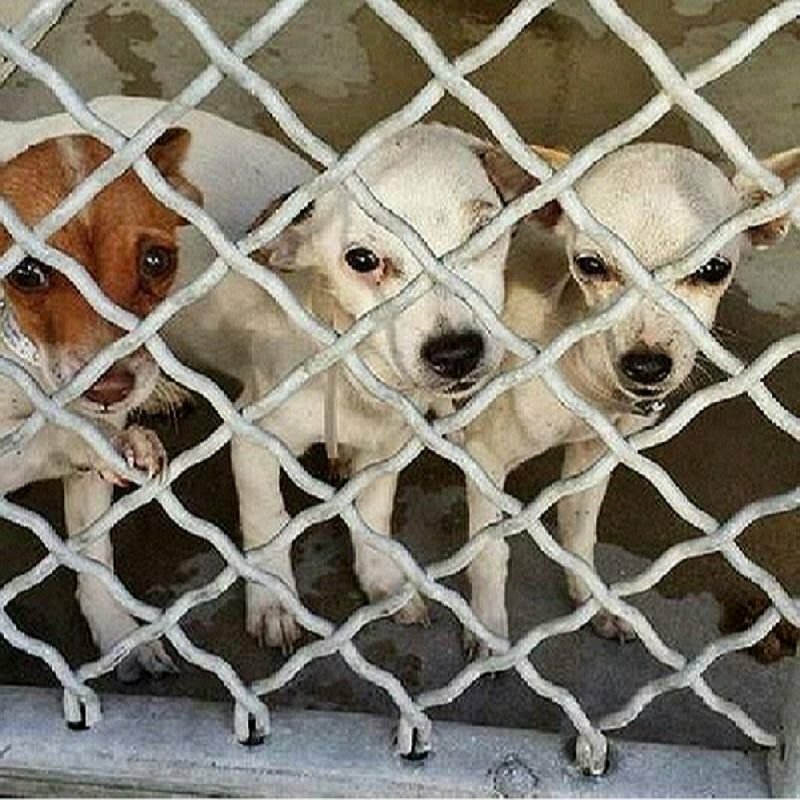 Our goal is to place the dogs we rescue into loving forever homes. We do not have a shelter, all dogs are placed in separate volunteer foster homes within Ottawa-Gatineau until an adoption match is found. Adoption fees are $375.00 for senior dogs (8 years and older), $450.00 for adult dogs (1 year and older) and $500.00 for young dogs (less than 1 year old). The Adoption fee is non negotiable and non refundable. All dogs have been vetted and the fee includes spay/neuter. In the case that said animal is too young to be altered at the time of adoption, adopters are responsible to get the animal altered within the first year of owning the pet. Our adoption fee also includes age appropriate vaccines including Rabies, deworming, flea preventative and microchip. Meet Merlin! 🐕 Merlin is a beautifully coloured heeler mix. One look into his soulful eyes and your heart will melt! He has adapted well in his foster home & loves the snow - he can’t wait to get outside and play with you! Merlin is a very good boy who aims to please. He is still working on his manners but he is eager to learn and seeks approval. Merlin is a high energy dog who would love a job such as agility, fly ball or tick training. He loves long walks and he would make a great jogging partner. He is new to the concept of toys but is gradually learning to play and work for treats. He can sometimes be reactive on leash but should get better with proper guidance and training. Though it takes him a few minutes to fully warm up to people, Merlin loves being around his humans. Once he has warmed up, he will follow you to the ends of the earth. If it were up to him, he would spend the whole day cuddling. When watching television together, Merlin likes to lean on his people while he enjoys the show. Merlin would do best in an active home with someone who has experience with herding breeds. He might be able to live with a patient dog but no young children or cats. He does bark a bit when left alone, but he settles down quickly and likes the television or radio left on for him! Merlin is UTD on vaccinations, neutered, dewormed and microchipped. Harley is a 1 and a half year old Keeshond mix and he is looking for his forever home! He is 45 pounds and full of beans. He will need an active home and would love a back yard to explore, but would be fine in an apartment with the right amount of exercise. Harley is best suited for a house without other animals or with an owner experienced in resource guarding. He resource guards his food and bones from other dogs, but is happy to share his toys and play chase, and doesn’t guard anything from his human friends! He plays a bit rough so larger dogs would be best. Harley will need some help with his manners as he gets super excited to meet everyone he sees! Harley is house trained, crate trained and hasn’t barked once since arriving at the beginning of March. He walks well on a leash and enjoys spending time outdoors. He loves attention and asks for lots of pets and play. He has a big, bubbly personality that is sure to make you smile. Please click on this text to complete our Foster Application. Thank you! Adopted by Courtney & Kevin. Adopted by Catherine & family. Adopted by Katharine & Chris. Adopted by Tamsyn & family. Adopted by Jeremy & Meghan. Adopted by Helene & Linda. Adopted by Rhonda & Matt. Adopted by Roy & Stephanie. Adopted by Verena & family. Adopted by Stephanie & Andrew. Adopted by Melanie & family. Adopted by Erin & Sons. Adopted by Lisa & Brandy. Adopted by Rita & Maddie. Adopted by Jaimie & Brady. Adopted by Amy & Fiona. Adopted by Julie, Chloe & Gunner. Adopted by Ken & Cindy. Adopted by Andrea, Brad & family. Adopted by Cheri & family. Adopted by Eric, Nina & Rosa. Adopted by Loretta & Greg. Adopted by Gladys & Kim. Adopted by Shannon & Jason. Adopted by Deanna & Nick. Adopted by Nathalie & Jimmy. Adopted by Tracy & Stanley. Adopted by Carrie & Bruce. Adopted by Inge & Frank. Adopted by Jennifer & Francois. Adopted by Kathryn, Ivo & Family. Adopted by the Holland family. Adopted by Daniel & Danika. Adopted by Diane & Scott. Adopted by Claire & Paul. Adopted by Samer & Lara. Adopted by Anne & Brett. Adopted by Natalie & family. Adopted by Anik & family. Adopted by Susan & family. Adopted by Sherry & family. Adopted by Heidi & family. Adopted by Melissa & Cade. Adopted by Mason & Elaine. Adopted by Ashley and family. Adopted by Jamie and Kayden. Adopted by Kristy, Dan , Sammy and Sebastian. -Adopted by Maria and Peter. Adopted by Genevieve and family. Adopted by Sarah and Kim! Adopted by Daniel and Erin. Adopted by Amanda, Shaun and Cleo! Adopted by Louise and Michael. Adopted by Fred & Chey. Adopted by April, Zachary and fur brother Miko! Adopted by Cathy & Richard! Adopted by Jen, Mischa and big sister Phoebe. Adopted by Desireah and family. Adopted by Joanna and family. Adopted by Lois, Fergus, and fur brother Snoopy. Adopted by Brittany and Bryan. Adopted by Lindsay, Nathan & family. Adopted by Jerrica and Carlos. Adopted by Kevyn and Jessica. Adopted by Andrea and Brant. Adopted by Petra, Jeff and Andrew. Adopted by Melissa, Donna & Hailey. Adopted by Samantha, Eric and Mira. Adopted by our very own Paige. Adopted by Vikki, Jeremy, Conner and Parker. Adopted by Monique, Armand and Geatan. Adopted by Lucie & Gilles. Adopted by Pleiades and Nathan and family. Adopted by Donna, Darby and fur sister Luna. Food and medical are provided by HFP. Dogs are available for adoption first to their foster home. 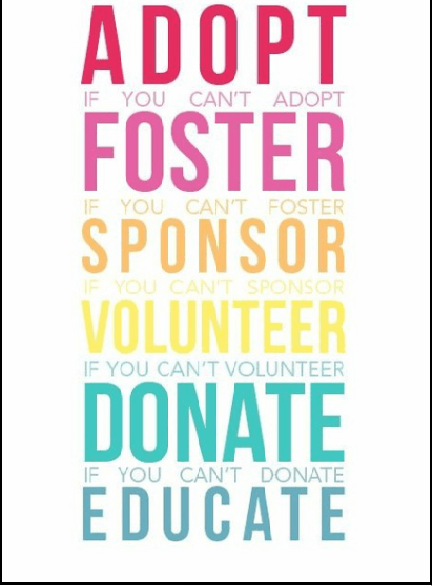 We ask that all foster parents be dedicated to caring for our rescues until a permanent adoptive home is found. We try to eliminate the dog from being moved from home to home. Remember that the dogs we rescue have all ready been through a lot! Many of our rescued dogs need special care, such as surgeries or other extensive medical treatment. We rely completely on donations and for this reason have an easy way for you to help! Click the Donate button on the Home Page which allows you to donate money to help a dog at HFP. The dogs thank you from the bottom of their hearts for your generosity! When the thermometer soars, a parked car can quickly become a furnace, endangering an animal’s life, and making the owner liable to criminal charges. When is it too hot? When a heat advisory is issued, it applies to animals as well. Even on a relatively mild day, temperatures in parked cars can become dangerous in a matter of minutes. Opening or lowering the windows does little or nothing to slow this process. With only hot air to breathe, a dog’s normal cooling process – panting – doesn’t work. A dog can withstand internal body temperatures of 40°C for only a few minutes before brain damage or death can occur. The older or more vulnerable the animal, the more susceptible they are to heatstroke or something worse. Heartworms are a variety of roundworm with the clinical name dirofilaria immitis. They are spread by mosquitoes. Dogs can only get heartworm disease through infected mosquitoes. They can't get it from other dogs or other types of animals, from dog feces, or from their mothers while in the womb or through nursing. The mosquito bites an animal infected with heartworms. This mosquito then bites your dog. When the larvae reach stage L4-L5, which takes three to four months, under the right conditions they can travel via your dog's bloodstream to the lungs and heart. 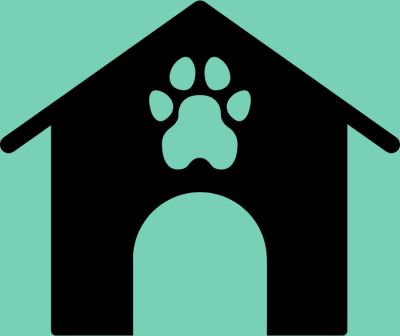 Homes for Paws Dog Rescue is "foster" based which means that a dog in our care is placed in a loving family environment. We rely on volunteer foster homes throughout Ottawa-Gatineau to care for our rescued dogs until adopted.